The American Heart Association issues both paper cards and eCards. The paper cards will still be issued through 2020 which means paper cards are valid through the end of 2022. After 2022, only eCards will be valid. Safety Training Seminars currently issues eCards in their courses, but just like every CPR company and hospital in the USA, we issued paper cards in the past. PAPER CARDS ARE VALID THROUGH 2022. What can I do if my school or company does not accept the paper card? Your school or hospital must accept the paper card, since at the time of your class, there were only paper cards. The American Heart Association does not allow us to issue both a paper card and an eCard. If you are still having problems, they can call the American Heart Association at 800-242-8721. Or you can show them this official statement from the American Heart Association which explains about the paper cards. The American Heart Association has switched to offering eCards starting in January 2018. An eCard is the electronic equivalent of a printed course completion card and can be provided to students as proof of their certification. The eCards are valid course completion cards and can be presented to employers as proof of successful completion of an AHA course. Regular printed cards can result in security risks, counterfeit cards, or altered cards. 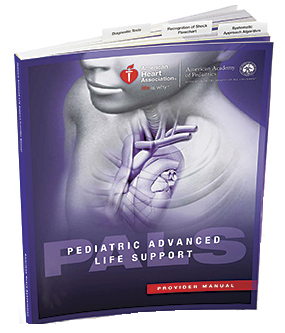 The American Heart Association requires all students to bring the proper book to their training class. This is the same policy across the United States and in the Bay Area. This book policy is not written by Safety Training Seminars, but official American Heart Association rules which we must follow to maintain our license. Where should I buy the book? You can purchase the book from us on the day of the class. Or you can loan a book from a friend or coworker and bring with you to class. You could also buy a book online, but be careful. We have students who buy books on Amazon or Ebay which are the outdated versions and not accepted. If you buy a book online, you should factor in the shipping costs & taxes, which sometimes can add an extra $10-$15 to the price of the book. I am taking a Heartcode eLearning class. Do I need to bring in a book? No. If you are taking a Heartcode eLearning course, you do not need to bring in a book to class, since your eLearning course acts as your book that can be viewed for two years. I am with UCSF and my department is paying for the class. Do I need to bring in a book? Yes. You can check out the book from the Mission Bay or Parnassus Library. If you do not bring the book to class, you must buy the book and UCSF will not reimburse. I am taking the class with my wife. Do we both need to buy a book? Yes. The American Heart Association does not allow people to share a book during their classes. If you have any questions about The American Heart Association Book Policy, please call us at 415-437-1600. Thanks, see you in class soon. There are some Bay Area schools that teach ACLS, PALS, and BLS classes at lower prices by not following American Heart Association guidelines or who do not offer official American Heart Association certification. If you take an unlicensed course, you would have to retake a class and pay for the training again. Safety Training Seminars is now accepting applications for ACLS, PALS, BLS, CPR, and First-aid instructors. I frequently receive phone calls and emails from people looking to take a CPR class for free. It is possible to find free or low cost CPR classes throughout the Bay Area. The American Red Cross and the American Heart Association offer these type of classes about once every 3 months. The name of this course is called Hands Only CPR or sometimes it is advertised as CPR Saturday or Sidewalk CPR. Theses courses do not provide any type of certification card, but it offers a chance for students to practice the steps of CPR on a manikin. Also, the Sports Basement in Walnut Creek offers American Safety and Health Institute basic CPR classes about once per month. These courses are not valid for medical professionals, since those in the medical field must take an American Heart Association BLS renewal. The current price for these classes in 2016 is $15. Their phone number is 925-941-6100. If you need to receive an actual CPR certification card as part of a job requirement, you would need to take an official American Heart Association class. The reason these certification courses are not free, is because there are lots of expenses involved with taking a course. The CPR company must purchase thousands of dollars of equipment such as infant CPR manikins, bag valve masks, AEDs, DVDs, and provide the certification cards. Also, there are other expenses such as rent, insurance, instructor pay, tables, chairs, utilities, etc. View upcoming courses in the Bay Area here. Safety Training Seminars is an approved continuing education provider of the California Board of Registered Nursing. Our Provider number is CEP16557. 2. Print out your CE credits. CE credits are emailed to you within 5 days after your course. If you do not receive them within 5 days, call us. Nurses in California are not allowed to receive CE credits for BLS training. Safety Training Seminars is an approved CE provider for the California Dental Board. Our license number is CA #4302. After attending the BLS for the Healthcare Providers, dentists will receive CE credits. If you did not receive your CE credits, email us your name, address, and when you took the class and we will mail it out to you. You can view training videos at our YouTube page. I signed up for the Heartsaver CPR Class and need the BLS Class. If you are in the medical or healthcare field, you must take the American Heart Association BLS for the Healthcare Provider course. On our website, before you register for the Heatsaver CPR class, there is a message that states: Do not register for this class if you are in medical or healthcare field. Also in the body of the description, it states that the Heartsaver CPR class is not for medical or healthcare professionals. If this is not clear, please let me know since I make the changes on the website. However, I understand that some people just see CPR and are in hurry and do not read through the description. Some students ask us if they can just receive the BLS card. We cannot do that, since we would lose our license to teach CPR classes. However, if you have taken the Heartsaver CPR class with us by accident and need the BLS class instead, you can bring in your Heartsaver CPR card and pay $40 (and switch books). You can take advantage of this deal within 3 months of registering for the wrong class. I signed up for the Heartsaver CPR & First class and I need the Pediatric CPR & First-aid course since I work in a child care center and need the EMSA approved certification card. Before you register for the Heartsaver CPR & First-aid class, it states that you should not register for the class if you are in the childcare field. EMSA has very strict rules that child care providers must take the EMSA approved Pediatric CPR and First-aid class which is 8 hours long. Please let me know if the website description is not clear so I can fix it. You can register for the Pediatric CPR and First-aid class and bring in your Heartsaver CPR and First-aid card and pay $40. This offer is valid for within 3 months after registering for the wrong class. Call us to switch your class (Do not register on the website, otherwise you will be billed the full amount). : 415-437-1600. 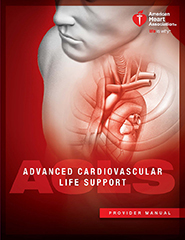 We now offer a package discount if you purchase ACLS, PALS, and BLS. 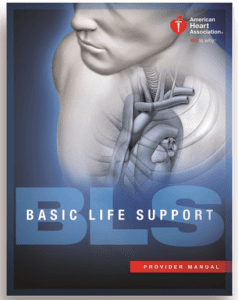 If you purchase the ACLS and PALS course (renewal or initial, not eLearning Heartcode), you will receive the BLS for no charge ($60 savings). To qualify for this, register for the ACLS and PALS courses on our website: www.bayareacpr.org. Then call us and request the Free BLS. 415-437-1600. If my ACLS or PALS card expired, can I still take the renewal? Take an ACLS Initial or PALS Initial class. Or you can attend the renewal class if you are confident in your skills. Please complete this precourse assessment before attending your American Heart Association PALS class. After completion, print this out and bring with you to class. If you do not bring this printout, you cannot attend. We highly recommend you use this study guide to prepare for your American Heart Association BLS course. 1. Immediate recognition of cardiac arrest & activation of the emergency response system (911 system). Although basic life support is taught as a sequence of distinct steps to enhance skills retention and clarify priorities, several actions should be accomplished simultaneously when multiple rescuers are present. The 2010 AHA Guidelines for CPR and ECC recommend a change in the BLS sequence of steps from A-B-C (Airway, Breathing, Chest Compression) to C-A-B (Chest compressions, Airway, Breathing) for adults, children, and infants. This change in CPR sequence requires reeducation of everyone who has ever learned CPR, but the consensus of the authors and experts involved in creating the 2010 AHA Guidelines for CPR and ECC is that the change is likely to improve survival. By changing the sequence to C-A-B, rescuers can start chest compressions sooner, and the delay in giving breaths should be minimal (only the time required to deliver the first cycle of 30 chest compressions, or approximately 8 seconds or less; for 2-rescuers infant or child CPR, the delay will be even shorter). A compression depth of a least 2 inches (5cm) in adults and a compression depth of a least one third of the anterior-posterior diameter of the chest in infants and children. This is approximately 1 1⁄2 inches (4cm) in infants and 2 inches (5cm) in children. Note that the range of 1 1⁄2 to 2 inches is no longer used for adults, and the absolute depth specified for children and infants is deeper than in previous versions of the AHA Guidelines for CPR and ECC. Allowing complete chest recoil, minimizing interruptions in compressions, and avoiding excessive ventilation continue to be important components of high-quality CPR. To further strengthen the focus on high-quality CPR, the 2015 AHA Guidelines for CPR and ECC stress the importance of training using a team approach to CPR. The steps in the BLS Algorithm have traditionally been presented as a sequence to help a single rescuer prioritize actions. There is increased focus on providing CPR as a team because resuscitations in most EMS and healthcare systems involve teams of rescuers, with rescuers performing several actions simultaneously. For example, one rescuer activates the emergency response system while a second begins chest compressions, a third is either providing ventilations or retrieving the bag-mask for rescue breathing, and a fourth is retrieving a defibrillator and preparing to use. Another key change is the removal of “look, listen, and feel for breathing” from the assessment step. This step was removed because bystanders often failed to start CPR when they observed agonal gasping. The healthcare provider should not delay activating the emergency response system but should check the victim for 2 things simultaneously; response and breathing. With the new chest compression-first sequence, the rescuer should activate the emergency response system and begin CPR if the adult victim is unresponsive and not breathing or not breathing normally (only gasping) and has no pulse. For the child or infant victim, CPR is performed if the victim is unresponsive and not breathing or only gasping and has no pulse. For all victims of all ages (except newborns), begin CPR with compressions (C-A-B sequence). After each set of chest compressions, open the airway and give 2 breaths. Distinct from the lone responder approach, many workplaces and most EMS and in-hospital resuscitations involve teams of providers who should perform several actions simultaneously (eg. One rescuer activates the emergency response system while a second rescuer begins chest compressions, a third is either providing ventilations or retrieving the bag-mask for rescue breathing, and a fourth is retrieving a defibrillator and preparing to use it). If you do not definitely feel a pulse within 10 seconds, perform 5 cycles of compressions and breaths (30:2 ratio), starting with compressions (C-A-B sequence). How to make sure the scene is safe. Check to see if the victim is breathing. If a victim is not breathing or not breathing normally (ie, only gasping), you must activate the emergency response system. Agonal gasps are not normal breathing. Agonal gasps may be present in the first minutes after sudden cardiac arrest. A person who gasps usually looks like he is drawing air in very quickly. The mouth may be open and the jaw, head, or neck may move with gasps. Gasps may appear forceful or weak and some time may pass between gasps because they usually happen at a slow rate. If you are alone and find an unresponsive victim not breathing, shout for help. If no one responds, activate the emergency response systems, get an AED if available, and then return to the victim to check a pulse and begin CPR (C-A-B sequence).
. Feel for a pulse for at least 5 but no more than 10 seconds. If you do not definitely feel a pulse, begin CPR, starting with chest compressions (C-A-B sequence). Position yourself at the victim’s side. Make sure the victim is lying faceup on a firm, flat surface. If the victim is lying facedown, carefully roll him faceup. If you suspect the victim has a head or neck injury, try to keep the head, neck, and torso in a line when rolling the victim to a faceup position. Put the heel of one hand on the center of the victim’s chest on the lower half of the breastbone.
. Straighten your arms and position your shoulders directly over your hands. PUSH HARD AND FAST. Press hard at least 2 inches (5cm) with each compressions. For each chest compression, make sure your push straight down on the victim’s breastbone. ute. At the end of each compression, make sure you allow the chest to recoil completely. Chest recoil allows blood to flow into the heart and is necessary for chest compressions to create blood flow. Incomplete chest recoil is harmful because it reduces the blood flow created by chest compressions. Chest compression and chest recoil/relaxation times should be approximately equal. Do not move the victim while CPR is in progress unless the victim is in a dangerous environment or if you believe you cannot perform CPR effectively in the victim’s present position or locations. CPR is better and has fewer interruptions when rescuers perform the resuscitation where they find the victim. Place one hand on the victim’s forehead and push with your palm to tilt the head back Place the fingers of the other hand under the bony part of the lower jaw near the chin Lift the jaw to bring the chin forward Caution: Do not press deeply into the soft tissue under the chin because this might block the airway. Do not use the thumb to lift the chin and do not close the victim’s mouth completely. Standard precautions include using barrier devices, such as a face mask or a bag-mask device, when giving breaths. Rescuers should replace face shields with mouth-to-mask or bag-mask devices at the first opportunity. Masks usually have a 1-way valve that diverts exhaled air, blood, or bodily fluids away from rescuer. For mouth-to-mask breaths, you use a mask with or without a 1-way valve. The 1-way valve allows the rescuer’s breath to enter the victim’s mouth and nose and diverts the victim’s exhaled air away from the rescuer. Some masks have an oxygen inlet that allows you to administer supplementary oxygen. To use a mask, the lone rescuer is at the victim’s side. This position is ideal when performing 1-rescuer CPR because you can give breaths and perform chest compressions when positioned at the victim’s side. The lone rescuer holds the mask against the victim’s face and opens the airway with a head tilt-chin lift. The rescuer should deliver the breaths over 1 second.
. Place the mask on the victim’s face, using the bridge of the nose as a guide for correct position. Use the E-C clamp technique to hold the mask in place while your lift the jaw to hold the airway open. Squeeze the bag to give breaths (1 second each) while watching for the chest to rise. Deliver all breaths over 1 second whether you use supplementary oxygen.
. Count compressions aloud. Switch duties with the second rescuer every 5 cycles or about 2 minutes. Effective Communication – Effective teams communicate continuously. If the compressor counts out loud, the rescuer providing breaths can anticipate when breaths will be given and prepare to give them efficiently to minimize interruptions in compressions. When 3 or more rescuers are present, 2 rescuers can provide more effective bag-mask ventilation than 1 rescuer. When 2 rescuers use the bag-mask system, one rescuer opens the airway with a head tilt-chin lift and holds the mask to the face while the other rescuer squeezes the bag. Learn how to use a defibrillator in the BLS class.
. Attach the adhesive AED pads to the victim’s bare chest as shown. Attach the AED connecting cables to the AED box (most modern AEDs have the cables already connected). Clear the victim and analyze the rhythm. If the AED prompts you, clear the victim during analysis. BE SURE NO ONE IS TOUCHING the victim.
. Clear the victim before you deliver the shock and be sure no one is touching the victim. Press the shock button. If no shock is needed, and after any shock delivery, immediately resume CPR, starting with chest compressions. After 5 cycles or about 2 minutes of CPR, the AED will prompt you to repeat the steps. The victim has a hairy chest. If the pads do not stick to the chest, press down firmly on each pad and quickly pull off the pads. This will remove a large amount of hair. Put on new set of pads and resume the steps for using an AED. Only use this method if you have an extra set of pads. Or you can use a disposable razor to quickly shave the chest. The victim is immersed in water or water is covering the victim’s chest. Water is a good conducter of electricity. Do not use an AED in water. If the victim is in water, remove the victim from the water. If the victim is lying in water or is covered in water quickly wipe the chest before attaching the AED pads.
. If you place an AED pad directly over an implanted medical device, the device may block the delivery of the shock to the heart. If possible, avoid placing AED pad over device. Follow the normal steps for operating an AED. The victim has a transdermal medication patch. Do not place AED pads directly on top of a medication patch. The medication patch may block the transfer of energy from the AED pad. Remove the patch and wipe the area clean before attaching the AED pad.
. If no shock is advised, or after any shock delivery, immediately resume CPR starting with compressions. After every 5 cycles or every 2 minutes of CPR, the AED will prompt you to repeat the steps. How to perform BLS CPR on a Child.
. Compression depth is at least 1/3 the depth of the chest or approximately 2 inches (5cm). Compression technique – a rescuer may use the heel of 1 or 2 hands. Activation of the emergency response system: If you did not witness the arrest and are alone, provide 2 minutes of CPR before leaving the child to activate the emergency response system and get an AED/Defibrillator. If the arrest is sudden and witnessed, leave the child to activate the emergency response system and get the AED/Defibrillator and then return to the child. Compression rate and ratio for lone rescuer: The lone rescuer should use the universal compression- ventilation ratio of 30 compressions to 2 breaths when giving CPR to victims of all ages. Follow these steps to perform 2-rescuer BLS sequence for a child: Check the child for a response and check for breathing. If there is no response or breathing the second rescuer activates the emergency response system. The use of barrier devices is the same as for adults. To provide bag-mask ventilation, select a bag and mask of appropriate size. The mask must be able to cover the victim’s mouth and nose completely without covering the eyes or overlapping the chin. When sudden cardiac arrest occurs the oxygen content of the blood is typically normal, so compressions alone may maintain adequate oxygen delivery to the heart and brain for the first few minutes after arrest. In contrast, infants and children who develop cardiac arrest often have respiratory failure or shock that reduces the oxygen content in the blood even before the onset of arrest. As a result, for most infants and children in cardiac arrest, chest compressions alone are not as effective for delivering oxygen to the heart and brain as the combination of compressions plus breaths. For this reason, it is very important to give both compressions and breaths for infants and children during CPR. Learn how to perform BLS CPR on an infant. For the purposes of the BLS sequence describe in the Pediatric BLS Algorithm the term infant means infants to 1 year of age excluding newly born infants in the delivery room. The infant BLS sequence and skills are very similar to those used for child and adult BLS/CPR. The key differences are: The location of pulse check is the brachial artery. The technique of delivering compressions is 2 fingers in the center of the chest for 1-rescuer and 2 thumbs-encircling hands technique for 2-rescuers. The compression depth is 1/3 the depth of the chest approximately 1 1⁄2 inches (4cm). When you activate the emergency response system: If you did not witness the arrest and are alone, provide 2 minutes of CPR before leaving the infant to activate the emergency response system and get the AED. If the arrest is sudden and witnessed, leave the infant to phone 911 and get the AED then return to the infant. The lone rescuer should use the universal compression-ventilation ratio of 30 compressions to 2 breaths when giving CPR to victims of all ages. Follow these steps to perform 1-rescuer BLS for infants: Check the infant for a response and check for breathing. If there is no response and no breathing shout for help. Place both thumbs side by side in the center of the infant’s chest on the lower half of the breastbone. Encircle the infant’s chest and support the infant’s back with the fingers of both hands.
. After each compression, completely release the pressure on the breastbone and allow the chest to recoil completely.
. Use the AED as soon as it is available. Check the brachial artery for the infant’s pulse. Some AEDs have been modified to deliver different shock doses; one shock dose for adults and one for children. If you use a pediatric-capable AED, there are features that allow it to deliver a child-appropriate shock. The method used to choose the shock dose for a child differs based on the type of AED you are using. If your AED includes a smaller size pad designed for children, use it. If not use the standard pads making sure they do not touch or overlap. The important thing is to be familiar with the AED you will be using, before you need to use it. When you are using an AED, remember to turn it on first and follow the prompts as it leads you through the rest of the steps. For infants, a manual defibrillator is preferred to an AED. If a manual defibrillator is not available, an AED equipped with a pediatric dose attenuator is preferred. If neither is available, you may use an AED without a pediatric dose attenuator. The compressions rate for 2-rescuer CPR is at least 100/min. Until an advance airway is in place, rescuers must pause compressions to provide breaths. When an advance airway is in place during 2-rescuer CPR, do not stop compressions to give breaths. Give 1 breath every 6 to 8 seconds without attempting to deliver breaths between compressions. There should be no pause in chest compressions for delivery of breaths. Mouth-to-Mouth breathing is a quick, effective way to provide oxygen to the victim. The rescuer’s exhaled air contains approximately 17% oxygen and 4% carbon dioxide. This is enough oxygen to meet the victim’s need. The early recognition of airway obstruction is the key to successful outcome. It is important to distinguish this emergency from fainting, stroke, heart attack, seizure, drug overdose, or other conditions that may cause sudden respiratory distress but require different treatment. The trained observer can often detect signs of choking. As long as good air exchange continues, encourage the victim to continue spontaneous coughing and breathing efforts. Do not interfere with the victim’s own attempts to expel the foreign body. , & clutching the neck. Chocking victims initially may be responsive and then may become unresponsive. In this circumstance you know that choking caused the victim’s symptoms, and you know to look for a foreign object in the throat. If a choking victim becomes unresponsive, activate the emergency response system. Lower the victim to the ground and begin CPR starting with compressions. For an adult or child victim every time you open the airway to give breaths, open the victim’s mouth wide and look for the object. If you see the object that can easily be removed, remove it with your fingers. If you do not see the object, keep doing CPR. Sometimes the chocking victim may be unresponsive when you first encounter him/her. In these circumstances you probably will not know that an airway obstruction exists. Activate the emergency response system and start CPR (C-A-B sequence). You can tell you have successfully removed an airway obstruction in an unresponsive victim if you: Feel air movement and see the chest rise when you give breaths. Find and remove the foreign body from the victim’s mouth. After you relieve chocking in an unresponsive victim, treat him/her as you would any unresponsive victim and provide CPR or rescue breathing as needed. How to save an infant who is choking. Do not interfere with the victim’s own attempts to expel the foreign body. If mild obstruction persists, activate the emergency response system. Signs of severe airway obstruction may be: Poor or no air exchange.
. Hold the infant facedown with the head slightly lower than the chest resting on your forearm. Support the infant’s head and jaw with your hand. Deliver 5 back slaps forcefully between the infant’s shoulder blades, using the heel of your hand. After the 5 back slaps, turn the baby over by sandwiching him between your arms. Provide 5 quick downward chest thrusts in the middle of the chest over the lower half of the breastbone (as you would compressions during CPR). Deliver each thrust at a rate of 1/second. Repeat the steps until the object is removed or the infant becomes unresponsive. If the infant becomes unresponsive start CPR beginning with compressions. Make sure you check the infant’s airway before giving ventilations. Thanks for studying. We look forward to seeing you on the day of the course. Before taking your American Heart Association ACLS course (renewal or initial), please go to this website and take the precourse assessment. After you complete the precourse assessment, print out, and bring with you to class. You cannot attend without this priintout. Emergency Medical Services Authority changed the Health and Safety Course from 7 hours to 8 hours on January 1, 2016. The extra hour added on to the class is for Nutrition. This means all new people taking this course will take the 8 hour training instead of the 7 hour training. If I took this class prior to January 1, 2016, do I have to return to take the 1 hour EMSA Nutrition Course? No. Since you took the class prior to January 1st, 2016, you do not need to return. Your card is valid. Safety Training Seminars does not offer any public CPR and First-aid courses in Spanish. However, if you have a group of 16 or more students, we can teach the CPR and First-aid course in Spanish at your location or ours. The price for the CPR and First-aid course in Spanish is $50 per person and after the course, students will receive their certification card. Call us for more information: 415-218-1330. After students register and pay for a class, we do not offer any refunds. However, students are able to reschedule to a different date and time, for a fee. 1. Go to our website and find the date and time and location of your preferred class. 2. Call us at 415-437-1600 and we can put you in your new class. Any questions, please call us. We are available Monday to Friday 8-5pm. We take all complaints very seriously. If you have a complaint about our instructor or a class, please contact us, so we can make things right. We love kids, but we are not allowed to have children or babies in our classrooms for a few reasons: Children are just too cute and it is distracting for the parents and other participants. Also, our classrooms are not child safe. We have medications, needles, outlets, cleaning supplies, etc. Children can take a CPR or First-aid class when they are 10 years old or over. We recommend the Heartsaver First-aid CPR AED class. Also, breastfeeding women are welcome. We usually have a break on the hour and we will try our best to accommodate you with privacy. Thanks.